Hopefully this diagram says it all! On Saturday the 15th February 2014, I attended the exhibition for the proposed 4 turbine Wind Farm at Blandford Hill, near Winterbourne Whitechurch, being developed by REG Windpower. The exhibition was held in the Winterbourne Whitechurch village hall and living as I do in nearby Milton Abbas, I had received an invite to the exhibition as we are considered to be within the immediate area (the exhibition was of course open to anyone to attend). I went to the meeting with my mother and step-father who live near me, also in Milton Abbas, it made sense to travel together. On arriving at the exhibition we were welcomed at the door by a member of the REG team and were given the option of leaving our details should we want to be kept informed on how the project is proceeding. Then I was quickly introduced to several more members of the REG team and we chatted in detail about the project and wind power in general. Much to my relief one of the first things the REG people asked was would we like a cup of tea or coffee – a very welcome thing as we in Milton Abbas had experienced a power cut the night before and were still without electricity, and being in an area where there is no gas supply boiling kettles (even with my parents wood burning stove) was proving difficult. Coffee in hand I asked one of the REG engineers whether it might have been possible to keep a local supply of electricity going during a power cut via locally sited wind turbines – he said it would not necessarily be guaranteed and would depend on such factors as where the problem in the supply was, but yes conceivably having a wind farm nearby could provide extra resilience and a continuation of electricity supply during a wider outage – an encouraging thought. A question the REG team were keen on asking us, was what local projects would we suggest might benefit from the community fund, which they would put in place as and when the turbines were up and running. Not a question one is often asked in these straightened times – where to spend more money to benefit the local area. So unused to this – we asked for more time to consider. What I was interested to see was how my step-father, who was at the very least disposed to oppose (if not in outright opposition) would respond to the exhibit and the words of the (enthusiastic and very well informed) REG staff. Well rather to my surprise he was gradually persuaded of the merits of wind power (which produces more than all the energy needed to make and site a commercial onshore wind turbine in less than a year) and of the virtues of siting 4 wind turbines in an adjacent village. Success then of a persuasive argument backed up with some excellent graphics, including a Google Earth Mapping of the 4 turbines showing how they would look from any and every angle and distance. After a couple of hours – which passed very quickly so interesting was the conversation – we decided to leave and return to electricity free (if that`s the right word for it) Milton Abbas. On the way out of the hall we passed the member of the REG team who had been collating the response forms attendees had been asked to fill in if they wanted. It turned out that a majority of people attending the exhibition (over the two days it was held) had been in favor of the project, with a minority against and some don`t knows. A very encouraging response for those of us keen to see renewable energy in Dorset and obviously a boost for the REG team. I for one am glad I went – and of course getting the cup of coffee during the power cut we were experiencing in Milton Abbas was a much appreciated bonus! 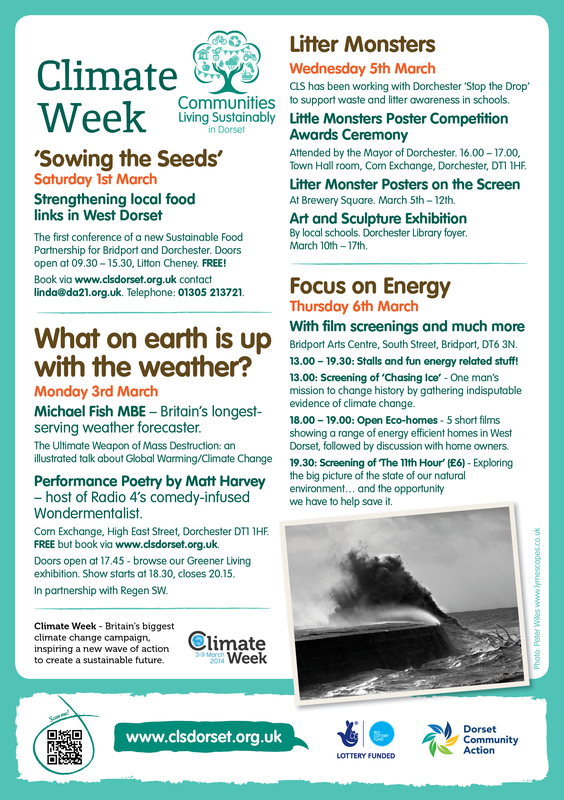 The Dorset Energized team are busy preparing for Climate Week 2014 with our very own special event – Dorchester Renewable Energy Exhibition and Advice Forum in Dorchester on Saturday 8th March. Just a quick update from me, but a very cool one! I’m sure a lot of people have watched the thrilling Rush last year, and Senna previously. Well, a small part of that excitement is coming to our neighbours in Hampshire this very Spring, in Beaulieu. I strongly advise you to reserve the weekend of the 5th & 6th April 2014 in your diaries and go and see the MotoExpo, which features a wide range of eco-friendly, or at least more eco-friendly, fast machines. Featured particularly are demonstrations and rides in electrical cars, a 400m circuit race and the latest in electrical and hybrid bikes and cars. 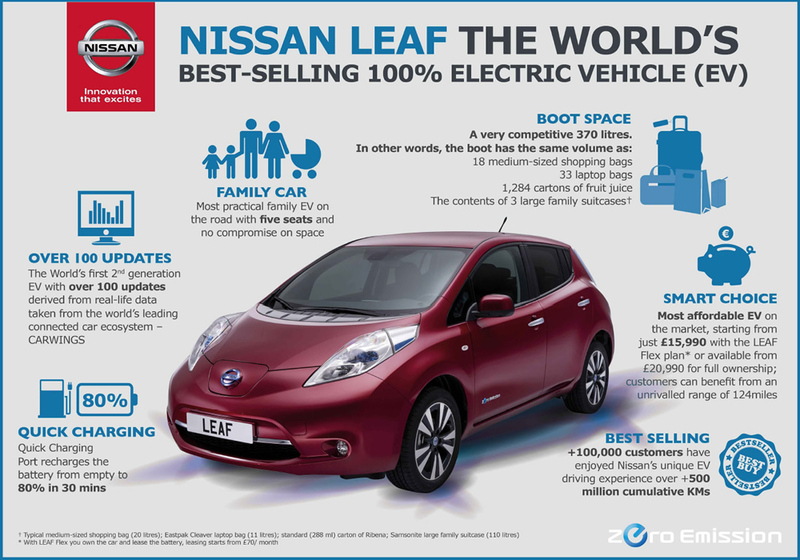 Even more positive news for Nissan LEAF drivers! There are now 1000 CHAdeMO rapid chargers that have been installed in Europe. Out of these 1000 almost 20% are here in the UK. The CHAdeMO units can charge the Nissan LEAF in just 30 minutes to an 80% charge. 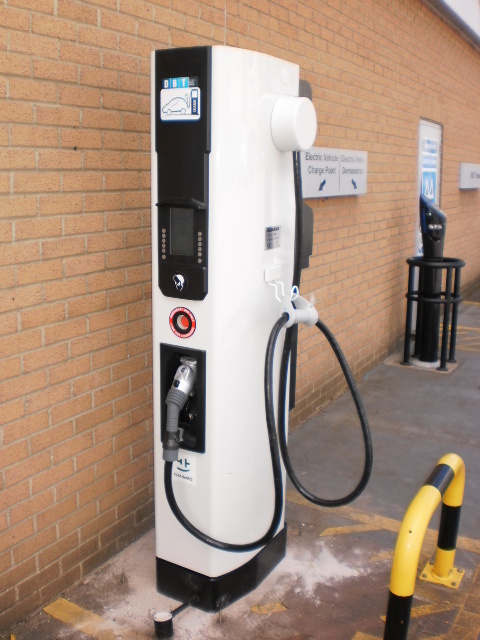 The chargers are available around the UK at Ikea stores, motorway service stations and Nissan dealerships, most of which are completely FREE for Nissan owners, including at FJ Chalke Wincanton in Somerset/Dorset. REG Power are looking into the possibility of building up to 4 wind turbines on land at East Farm, Lower Street, to the South East of Winterborne Whitechurch. They are currently undertaking a large number of on-site surveys to determine the feasibility of turbines on the land. This work includes ecological surveys, background noise monitoring, visual amenity assessments, cultural heritage assessments, drainage and land surveys to name a few. At the moment they believe that this site could accommodate no more than four turbines of up to 130 metres. A wind farm of this size would generate enough electricity to power approximately 4,500 homes each year. REG Power are inviting local people here in Dorset to view the details of their proposals at their public information sessions in February. Come along to view the proposals in detail, meet the project team and ask any questions you may have. Wherever REG Power install new turbines they will also set up a Community Fund to support local good causes. of this money available at an early stage to enable more major projects to get off the ground quickly. They say that they firmly believe that local people should decide how the money is spent so would love to hear your ideas for projects the fund could support. Are you struggling to keep warm this winter? Are you unsure about how to switch your energy supplier? You are not alone; as we reported yesterday its Cold Homes Week and shockingly last winter someone died of the cold every 6 minutes. Many people are finding the combination of rising fuel costs, low income and poorly-insulated rural housing, a real problem. Dorset Community Action, with sponsorship from Magna Housing, is running another drop in session for you to come along and discuss your individual needs and concerns, and get some advice on how to keep warm and save some money. 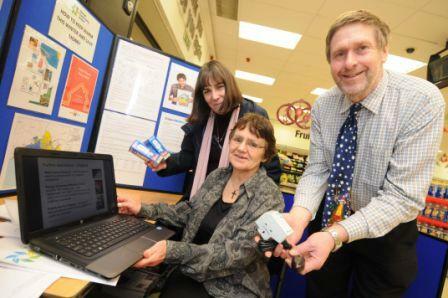 You can find out about how to switch energy supplier over a cup of tea and biscuits provided by the Co-op, and receive a free energy saving appliance provided by our friends at Dorset Energy Advice Centre. First Dorset Credit Union will also offer support and ideas for people suffering financial hardship. Pop in any time between 2pm to 6pm and spread the word to those that would benefit from this help and advice. If you can’t make it, there are lots of energy saving and money saving tips under our Energy Efficiency pages and information on how to easily Switch Energy Suppliers.